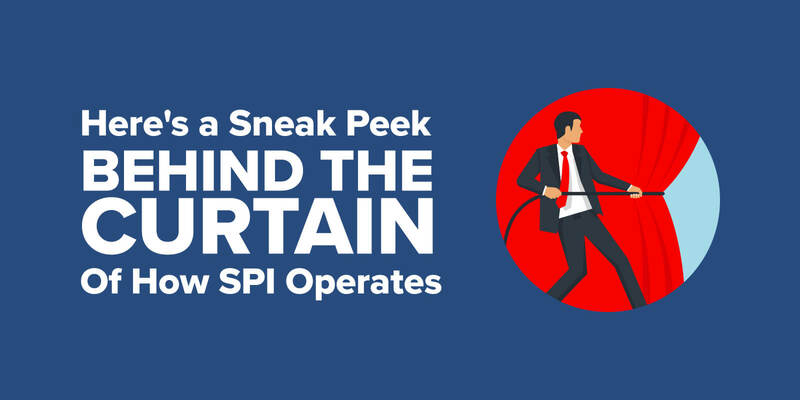 A lot of the strategies that I implement here on SPI are a direct result of seeing what other people are doing – and then doing the exact opposite. For example, most people don’t share their income publicly online, while I have my Monthly Income Reports. A lot of people say to stick to one platform or medium and own it. Master it. I have adopted a Be Everywhere business model instead. Many hide the parts of their businesses that might make them look bad, while I do my best to show the entire story. A lot of these strategies, big and small, help me stand out of the crowd, and the way I utilize my email list is no exception. Before I can show you what makes my approach with email different than most, let’s first examine what a lot of other internet marketers have done in the past. When I first started getting serious about online business, I was taught to follow what other successful online entrepreneurs were doing. Not to copy them, but instead be inspired by them – follow their strategies and put my own voice to it. When I began to construct my email list and autoresponder series I subscribed to over 25 different newsletters so I could learn from the best – so I could decode and decipher any patterns in their techniques and apply them to my own brand. After a short period of time (and a ton of emails later) I did begin to notice some patterns. Unfortunately, they didn’t resonate with me. Constant emails that included offers from other people with a “must-have” solution that is only available for a short period of time. Emails with text that sounded way too incredible, both in the subject line and in the body of the email. Emails that came from a “[email protected]” email address. Emails that shared only parts of the whole, only to include the rest of the story behind another opt-in form on another site, or behind a payment gateway. Emails that just lacked any real content & personality. They sort of reminded me of those “Congratulations! You’re the 1,000,000th visitor! Click here to claim your prize” advertisements that used to infest the web. In the same way, they used to work, but people online are getting smarter and are tired of being fooled. This is why I’ve adopted a more passive approach to my own email list, one that focuses on content, personality and even interaction – not selling and gateways. This is what I’m comfortable with and even though I may be leaving money on the table upfront, in the long run I know it’s a better strategy for my particular brand. Not everyone includes something free as a gift for subscribing (aka. a “lead magnet”), but I do. 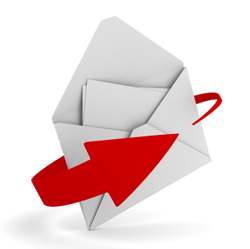 Include a lead magnet because it’s incentive to subscribe to your newsletter or email list. Don’t include a lead magnet because you’re potentially getting subscribers who are dead leads – people who only subscribe to get the free thing who won’t respond or even care about your future emails. Part 1: I include a lead magnet (in this case, eBooks the Smart Way) and make sure it’s extremely impressive – something totally unexpected that could potentially convert a person who subscribes just to pickup something for free, into a long time subscriber. Every once and a while I’ll get an email from a new subscriber who insists on paying me for my eBook – that’s the kind of value you want to give away. Part 2: I make sure that the first followup email a new subscriber receives (a pre-written email in my autoresponder series) is one of my best pieces of content I have. For my newsletter, it actually includes something that’s actionable – something people can test immediately and see instant results from, which is important to make a quick but long lasting first impression. Plus, this strategy will help your open rate in the future as well. 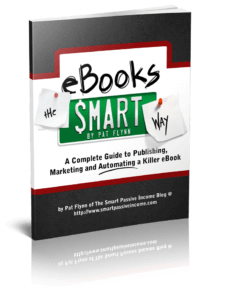 Once a person receives their free eBook, they then go through my autoresponder series. 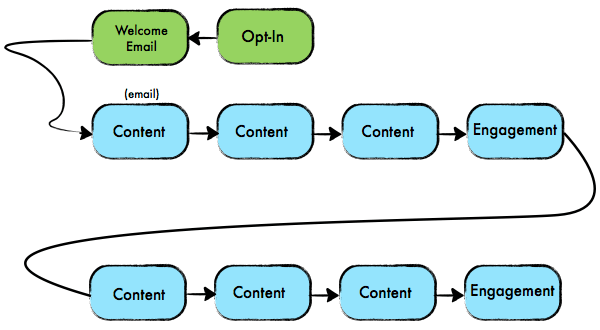 I’ve written about 4 types of autoresponder sequences before, one of them being the “Pat Flynn model”, which is what I’m going to describe for you in more detail below. 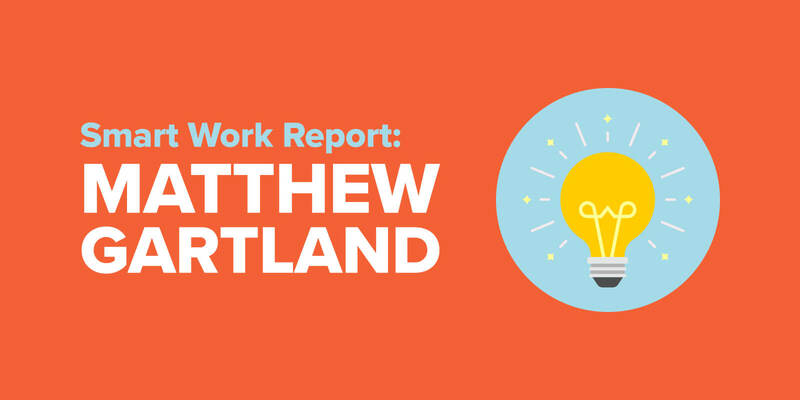 The core behind the Pat Flynn model is content and engagement.  It adapts the autoresponder series as more of an extension of the brand – another way to connect with people – as opposed to a direct marketing tool. Quite simply, it’s not aggressive and the emails are actually helpful and more personal. Also, it’s a different strategy – and in a world full of junk email that gets deleted, I want to send something that actually gets saved. The autoresponder series helps to keep me in constant contact with my subscribers, which is important because it gets people used to opening my emails. Then, when an important broadcast is sent in the future, it’s more likely to be read. As a result, my open rates are anywhere between 50% and 70%, depending on the subject-line of the email, which is apparently pretty high in this industry, especially for one with over 25,000 people on it. Some of the content emails have links back to relevant posts on my blog, but not all of them. This results in a constant stream of returning traffic to various posts on the blog every day, which is nice. I schedule the autoresponder series to send an email in 7 or 14 day intervals. Currently I have 30 emails in the series (I add a new one every few weeks) which equates to over a year of passive but constant contact with my subscribers. They are sent out on any day except for Mondays, which I reserve for any potential broadcast emails. The idea here is to never send more than 1 email to a single person on any given day. A broadcast, or a one time email to your subscribers, is typically used for more timely information – information that’s important to be read at that specific moment in time. The real-time nature of broadcast emails usually create a small sense of urgency or anticipation, which is good if the subject line and the body of the email are well written. If not – the only sense of urgency subscribers may have is the urgency to unsubscribe. For me, sometimes it’s an announcement of a new post (or video or podcast) that just came out that I want to make sure gets the most eyes on it, and Mondays are typically when I publish my more epic and noteworthy content. Other times, my broadcasts include a link to another person’s site – something noteworthy and valuable that I want to share with my subscribers. Sometimes the email includes a link back to the blog (or a video or podcast session) that will eventually lead a subscriber to an affiliate link or an offer – but it’s never a direct link to a product. In this case, the content that I link to usually includes a recommendation in the context of a successful case study or recent experiment that I’ve done. The “offer-related” broadcast emails, although few and far between, always work extremely well. The open rates and click throughs are usually higher than normal (it varies, again, depending on the subject line and how well I craft the call to action in the body of the email), but bottom line – I find this indirect method to be far more subscriber-friendly than the kinds of emails I get from more aggressive internet marketers. My approach may not be for everybody but it’s another option I’m sharing with you because you don’t have to be aggressive with your email list to still get results and you can use it as a tool to build trust instead of destroy it. Of course, you should always test things out and at the very least make sure your audience knows what to expect from your emails beforehand. Maybe you do sell something in every email that you send out – and that’s okay – as long as you share that upfront and build a list of subscribers who are ready for it. p.s. If you have yet to start your own email list, here’s a link to my Beginner’s Guide to help you get started!